This beautifully designed restaurant sits inside a large newly built golf course club house. The restaurant and building are less than a year old, but already grosses $50-$60k per month. 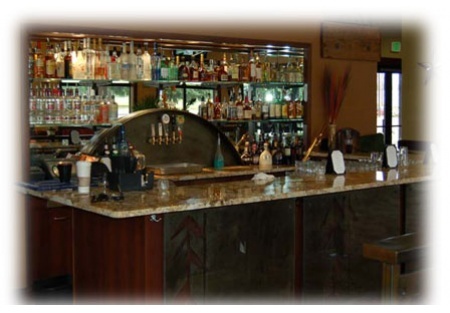 The upscale finishes and beautiful furniture provide an elegant atmosphere used for a wide variety of events including weddings, birthdays, etc. The restaurant includes a main dining area with a classic style bar perfect for golfers and loyal customers hungry for award winning cuisine. There are also two banquet rooms on either side of the main dining room that are perfect for private parties. The restaurant serves breakfast lunch and dinner and is quickly becoming the areas favorite upscale yet reasonably priced restaurant destination. The menu uses only the freshest ingredients including only certified black Angus meats. Take advantage of the opportunity to take over an established restaurant created by a local award winning chef. The restaurant already has built in customers from the golf course as well as the loyal followers of this award winning chef. A new owner will also be taking over an excellent menu designed by the chef himself. They will also receive up to 100 hours of training to learn the intricacies of each dish and to help ensure your continued success. The fees associated with owning this business are very reasonable. The lease is only 9% of gross sales and the owner would be responsible for fees associated with licenses needed to operate the business. This is not a Paramount Restaurant Broker, Inc. Listing and Paramount Restaurant Brokers, Inc. (PRB) assumes no liability for this ad or its content. PRB is merely advertising this listing for Larry Braden the listing broker. Larry is a licensed broker in Washington State. This is a Larry Braden listing. Lunch and Dinner 11Am-9PM 7 Days a week.